Obama, Clinton, and the CIA will be watching. 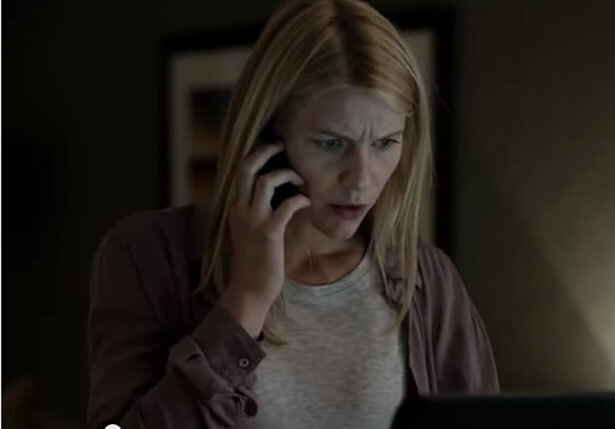 But I’m still unhappy about Claire Danes’s meeting with CIA director John Brennan in a special room at the Agency’s headquarters in Langley, Virginia, a year ago. She told the press afterwards, “It’s always so thrilling and moving to meet the people who really do so much to protect and defend our country.” She’s talking about the people who didn’t think ISIS would amount to anything, and before that informed our leaders that Saddam was building WMD. (That info came from “Curveball”—remember him?) And there was also that 9/11 business. But when you’re on a publicity junket for your fall show, I guess you’re supposed to be nice to everybody. Reality has also posed a location problem for the show’s producers. They considered making the new season about Israel and Palestine, but that was ruled out, show runner Alex Gansa said, because the Israeli-Palestinian conflict is “just such a difficult, difficult situation to dramatize and to explicate.” He might have added: especially when you have AIPAC breathing down your neck. “The decision also proved wise on a more practical level,” the Los Angeles Times reported, because “the violence in Gaza this summer forced two other series, FX’s ‘Tyrant’Tyrant and USA’s ‘Dig,’ to pull up stakes.” Tel Aviv, where Tyrant was in production, “was under missile fire and people were running into bomb shelters,” the show runner explained. “It was not conducive to shooting.” They moved to Istanbul. The cast is also finding inspiration in Cape Town. “It’s very moving to be somewhere where a man like Nelson Mandela came to prominence,” said Mandy Patinkin—his character, the morose Jew Saul Berenson, has at last left the CIA for a really good job with a private security contractor. “I’m reminded that I’m living in a place where horror was once in abundance and the boil has been lanced and life has improved.” Will Carrie help the Afghans lance their boil and improve their lives? Obama will be watching—and so will Bill Clinton.